Savosolar is a Finnish company that manufactures internationally award-winning solar thermal collectors with the highest energy efficiency and energy density in the market. Global environmental trends with strong emphasis on renewable energy offer a huge potential for Savosolar. The company has ever since its foundation in 2009 had the ambition to take the solar thermal technology to the next level. Deliveries of effective solar thermal collectors started in June 2011 and since then, the company has delivered over 50,000 m2 of collectors to their customers in 18 countries on four continents. The strong foothold in the Danish market, which the leading large scale solar thermal market in the world, excellent feedback from the customers and the convincing test results from independent institutions demonstrate that Savosolar’s collectors deliver what they promise. The revenue of the company has doubled annually during the past years, while at the same time the investments in the future growth and development have burdened the profitability. In the middle of strong growth the company is investing further to be able to meet the market demand. The latest investments in production have been the modernization of the coating line doubling its capacity and next level of automation in the assembly to match the coating capacity and speed. At the same time other development actions have increase the efficiency on the production significantly, reducing the manufacturing working hours of collectors to less than one third from the staring point. The company specifically focuses on segments with huge and fast growth potential. The segments include the district heating market as well as industrial systems for process heating. Main focus is on large-scale industrial or real estate installations like solar thermal district heating and industrial process heat. In large installations (over 500 m2) there is less competition and efficiency of the systems is the most important factor for the user. The market for large installations is also attractive since it is the segment of the solar thermal market with the strongest growth. Additionally, delivery of complete systems is increasing the value added and the turnover of the delivery. Savosolar’s goal is to double its revenue annually. Furthermore, the company is aiming at expanding the annual production notably from the present. The company further wants to position itself more strongly to the role of a system supplier. Savosolar’s goal is to keep its position as the innovative technology leader in the field and for that the company plans to invest annually 3-5% of the revenue for product development. The European energy market focuses increasingly on renewable heat, partly as a consequence of the rapid growth of the subsided renewable electricity production market, which has led to low electricity prices. Heating stands for approximately 50% of the total energy market, and the way it is produced is still in many countries a major contributor to pollution of air, water and earth. Heat is conventionally produced in cogeneration or combined heat and power (CHP) plants typically using coal, petroleum or natural gas, reaching at best 80% efficiency of which approximately half is heat and half is electricity. In some plants biomass or municipal waste is used as fuel. When photovoltaic and wind production of electricity has increased the CHP station capacity has partly become superfluous and the demand fluctuates according to sunshine and wind conditions. This has diminished the heat supply and made CHP partially unprofitable. Therefore development goes towards localized heating plants using mainly renewable energy sources since the obsolete fossil fuel boilers are unsustainable and not meeting the targets set by states and cities to reduce emissions. Main emphasis in many places is in biofuels and waste to heat, but neither is enough for the full need. As a result solar thermal, the free and clean energy source is included as one solution everywhere where ever it is possible. Solar thermal solutions are the global leader in non-traditional renewable energy by installed capacity, second only to wind power in energy generated. In 2014 there was globally a total of approximately 406 GWth, and the installed capacity grew by 7.14 per cent to 435 GWth in 2015. In addition to Europe’s fast growth, the use of solar thermal energy is growing rapidly in hot water heating in areas where there is a lot of sun, such as in India, Africa and China. For example, in Kenya a new law came into force in 2014, according to which all hot water in real estate is to be made by renewable energies, such as solar thermal heat. As a whole, the fastest growing segments of solar thermal are large scale solar thermal applications like solar thermal district heating, industrial process solar thermal heat and energy renovations of large multi-story buildings. The reason for this is that large-scale solar thermal applications are, in comparison to smaller solar thermal applications, more cost effective and also provide reduced emissions faster. 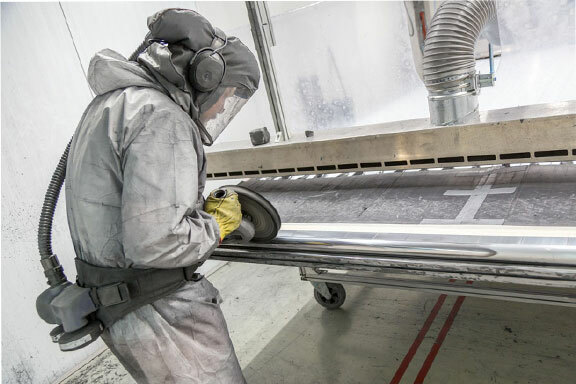 During the Q1 Savosolar has received orders from Finland and Sweden and finalized successfully in the beginning of the year the capacity investments doubling the capacity in the Mikkeli factory. The market demand for large solar thermal systems is growing rapidly all over Europe and with the strong position and excellent references in Denmark Savosolar is considered as one of the most potential supplier by the customers. 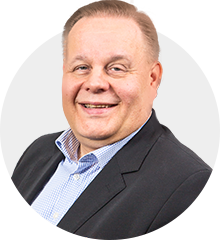 Customers also expect to receive more complete systems, for which the company has strengthened its capabilities especially in sales and system design, and recruited more people for these tasks in Denmark and Germany. The table below describes Savosolar’s key financial indicators.